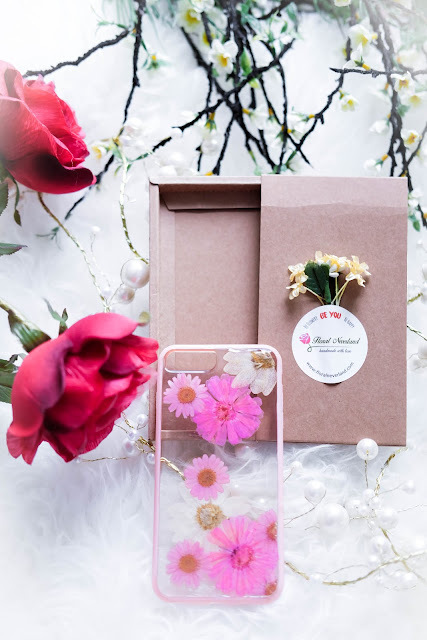 These beautiful beautiful iPhone cases arrived at my door steps in these delicate boxes, sponsored by Floral Neverland. 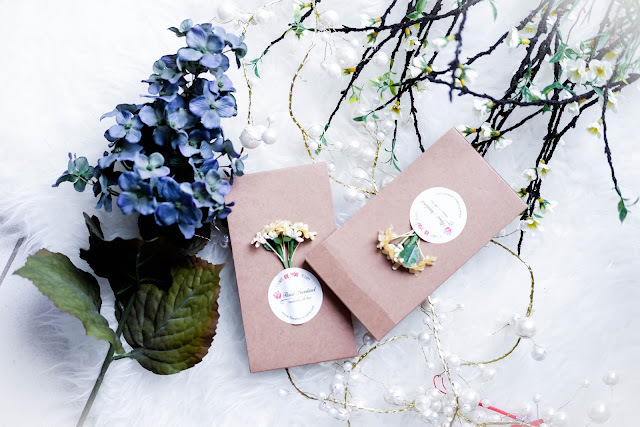 Ever want to gift something small but fear they might look too small ? 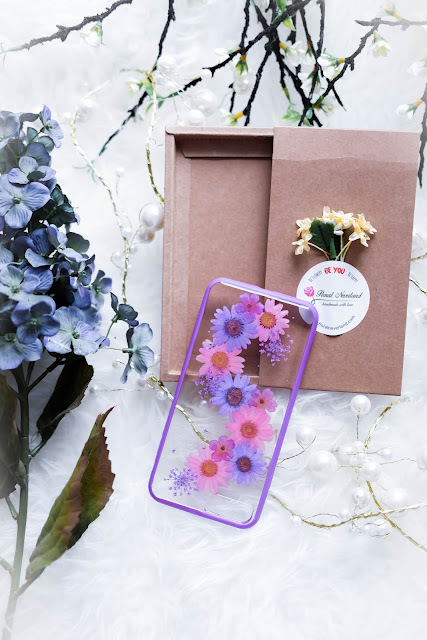 These phone cases carry nothing but quality, even the boxes they came in with looked so good ! The earthy toned brown paper boxes are sturdy and house the cases perfectly. 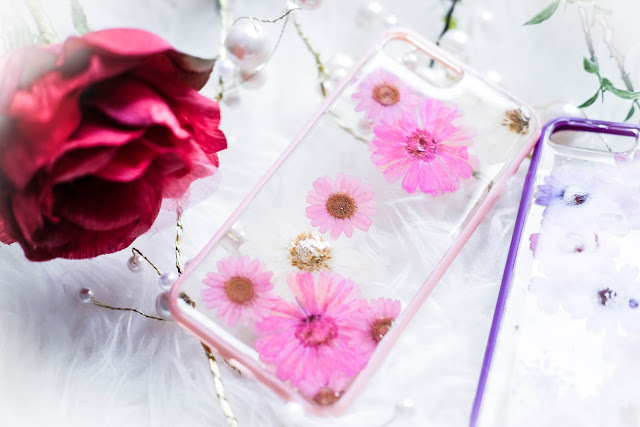 You can even store a phone in there if you want it to be a surprised ! Or you can choose to place the phone case in a pouch ! It still has that organic, natural look to it, but also presents a softer, romantic feel. 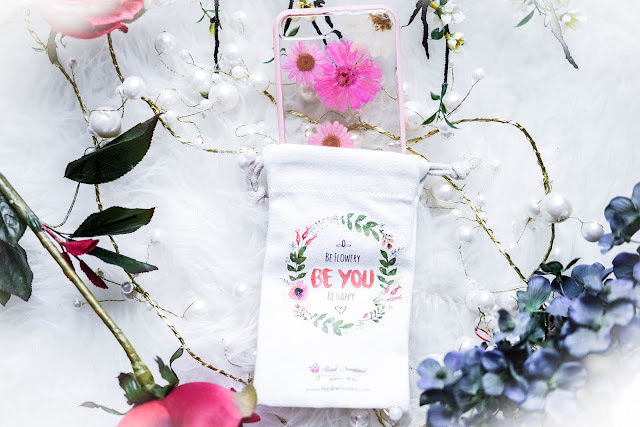 It's not difficult to see that the owner of Floral Neverland, Olivia Wang, has put in so much thoughts in her products. 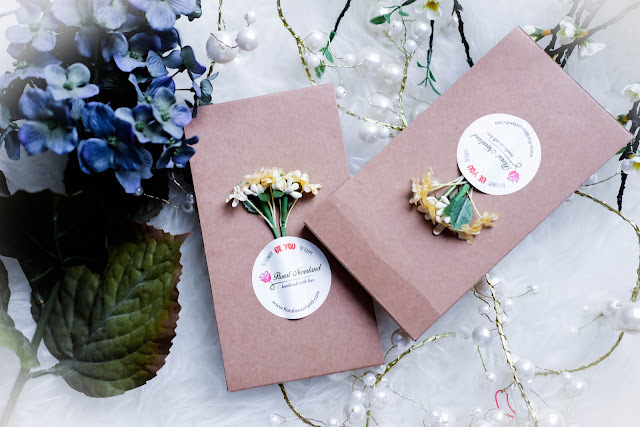 Olivia handmade ALL of her products with real preserved flowers. 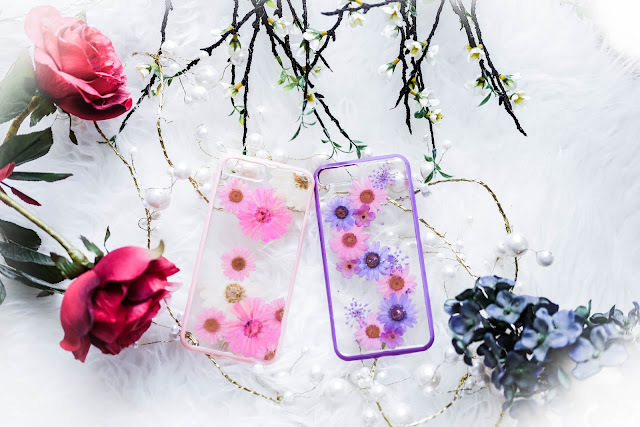 She specializes in iPhone cases, but I think she is able to customize any android case for you if possible. 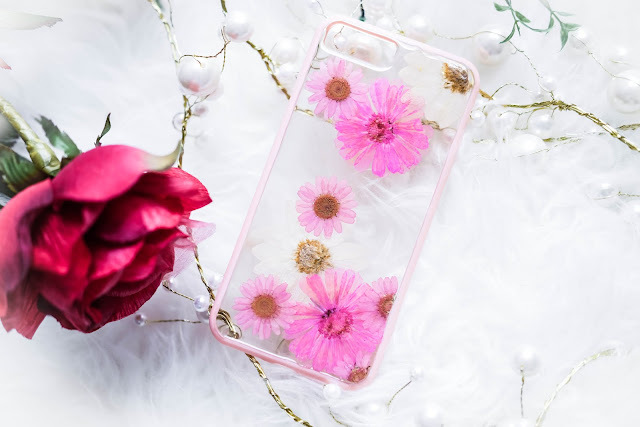 Most of her iPhone cases are clear bumper cases - these are the best options to show off the real flowers ! My phone is pink so both colors I picked compliments my actual phone color very well. Aren't they just so beautiful ? 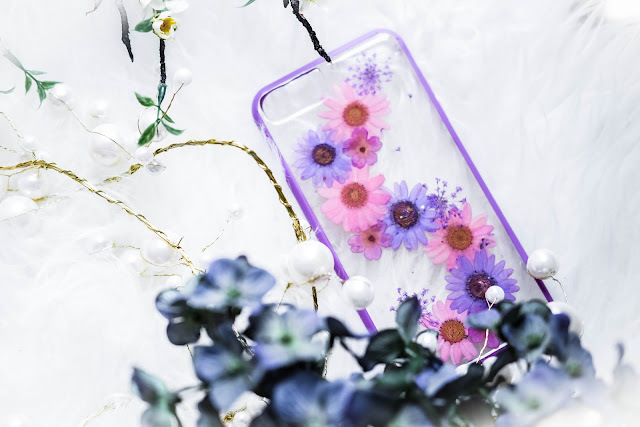 Olivia's dream is to preserve summer forever and while she obviously cannot do that, she manages to preserve the color of summer by pressing these pretty petals into your personal belongings. The cases are thin and very light. 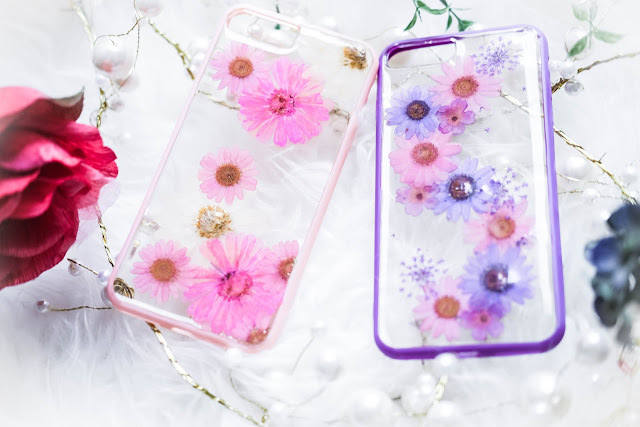 The side bumpers, however, do provide the necessary protection for your phone. The material is also non-slippery and hence I haven't dropped the phone on my face while scrolling through it in bed hahaha. 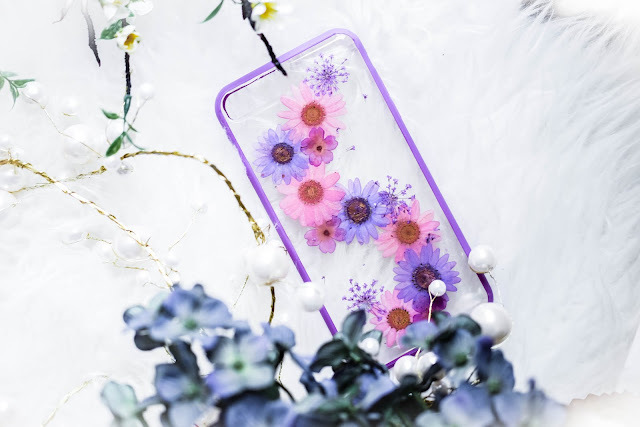 Besides phone cases, Olivia also makes jewelries and they are just as exquisite ! Now you can use my promo code "angela" for a 15% discount.